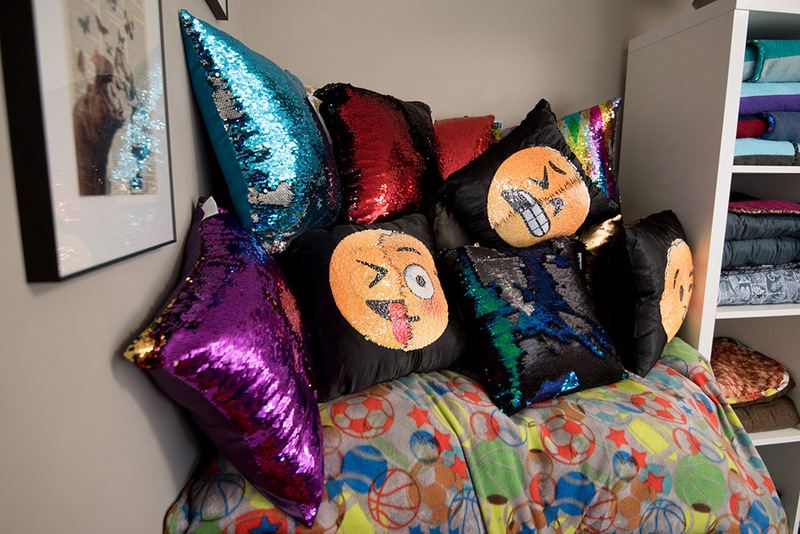 "These reversible sequin pillows are so much fun!" These reversible sequin pillows are so much fun! Great calming effects moving the sequins back and forth, draw something or write a message and enjoy the feel of the sequins flipping under your palms. People in the shop just can’t stop touching them. Cushions are approximated 16 inches by 16 inches and include pillow form.